TIP! Before agreeing for home A/C services ask the contractor for current evidence of insurance. Although any HVAC provider can make a mistake, the cost for damages caused by uninsured vendors may fall directly against your bank balance. Even though dealing via an untrained back door heating and cooling tech may appear to save on initial expenses, an uninsured financial nightmare may be just around the corner. Unlicensed HVAC contractors are working outside the law. This means they may ignore industry-standard HVAC service and installation regulations. TIP! Before choosing a Mesa AC expert, seek multiple bids. And remember to be especially cautious of super-low bidders. No matter the industry, reputation is paramount to the word-of-mouth advertising. Likewise, positive word-of-mouth publicity establishes the cornerstone of reliance. Unlicensed HVAC contractors damage the reputation of the HVAC industry. You deserve better. By practicing licensing and a well-crafted regulatory system, the law of the land promotes individual safety and reliable construction practices. The low-ball pricing associated with unlicensed AC contractors greatly harm legitimate Arizona air conditioning service and installation companies. Playing by the rules only to lose business typically results in a higher cost margin for both you and the licensed HVAC contractor. According to the Arizona Registrar of Contractors, complaints filed against unlicensed AC contractors is on the rise, and the price of scam HVAC providers affects you as well as legitimate contractors. TIP: Arizona residents can report unlicensed HVAC contractors via forms on the website of the Arizona Registrar of HVAC Contractors. According to YCCA reports, knowing your existing home improvement rights can help you prevent construction problems. Take personal responsibility for the project. Work only with reputable Mesa air conditioning contractors. Do not permit yourself to be victimized by unscrupulous, unlicensed HVAC contractors. TIP! 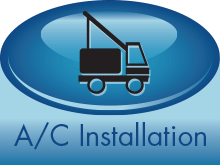 When installing new home air conditioning equipment, check the condition of existing HVAC ductwork. When sized incorrectly or in need of repair, ductwork can cause poor performance in even the best energy-efficient air conditioning equipment. To gain and hold a current Arizona state HVAC license, HVAC contractors must be able to prove efficient AC capabilities and experience. Local HVAC testing aims to eliminate local HVAC service options that can result in shoddy work ethics. Although licensing may not produce the definitive protection against scam HVAC service providers, it does make it easier for Arizona homeowners to locate a principled and reliable HVAC contractor. The cooling and heating industry continues to evolve. Global reach includes expansion into better indoor air quality management. American Cooling and Heating is here to ensure that Arizona air conditioning buyers receive professional service from a bonded, insured and licensed Mesa HVAC contractor. Call Now. About Rm Harrington Professional HVAC content writer, equally skilled for communicating with A/C technicians, HVAC product engineers or the home/business buyer in need of reliable A/C related details. Most valuable skill: The ability to research, comprehend, evaluate and discuss matters of importance to homeowners and the HVAC community, including technical details, system comparisons and best-choice system applications.